Kellogg student Melena Meese writes about her research trip to Paris, for Kellogg’s first Design Week (1-4 December), to discover the archives of the French fabric company Pierre Frey. On a mission with the Kellogg based forum for Decorative Arts and Phenomenology (DAP), co-founder Maximilian Buston and I recently visited the archives of French fabric company Pierre Frey in Paris. Along with a fascinating delve into the archive collections, we also caught up with the company’s creative director Patrick Frey for a lively discussion about the company’s innovative use of archive designs in creating new collections. Pierre Frey is collaborating with DAP on the upcoming series of events being held at Kellogg College, University of Oxford, as part of Design Week: Textiles. In tandem with the focus on scholarship in the fields of Decorative Arts and Design, one of DAP’s core aims is to reach beyond academia to engage outside cultural entities, practising designers and the broader commercial sector for the exchange of knowledge. Traditionally more prevalent in the sciences, Knowledge Exchange is beginning to gain wider currency in the arts and humanities. Knowledge Exchange can be defined as the process which brings together academic staff, users of research and wider groups and communities to exchange ideas, evidence and expertise. The DAP collaboration with Pierre Frey is an example of this process in action. 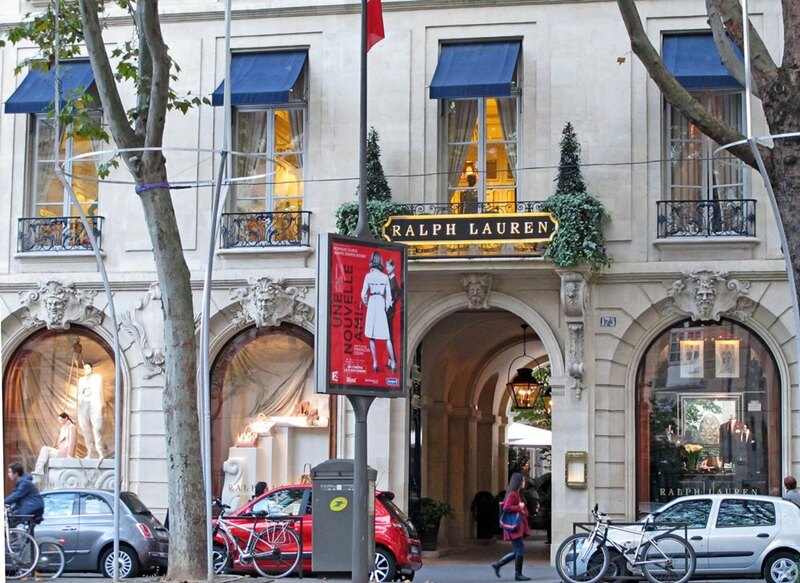 The Ralph Lauren flagship store in Paris proudly perched on Boulevard Saint-Germain. The building in its current glory represents the culmination of a major preservation project undertaken by the company as part of its brand story. The revitalization of a number of heritage brands in the retail sector in recent years has prompted the mining of archives for brand history and inspiration, highlighting the vital role of archival work in shaping company communications and product development. Projects involving company archives are just one example of the opportunities for academic collaboration with the commercial sector. Designers often have the same unerring eye for detail (while simultaneously being mindful of its relationship to wider contexts) that also characterises the work of a scholar. Furthermore, successful design-led luxury brands are likely to possess the rare combination of erudition, passion, vested interest and deep pockets necessary to undertake projects underpinned by extensive research. It is worth investigating their potential as not only financial sponsors, but as collaborative partners with researchers. The retailer Ralph Lauren often integrates historical detail into its brand and has undertaken several high profile conservation projects including a collaboration with the Smithsonian Institution to restore and display The Star-Spangled Banner. Maximilian and I managed to squeeze in a quick visit to the Ralph Lauren flagship store during our trip to view the company’s conservation efforts up close. The stunning building is the result of a major restoration project spanning over four years that involved artisans working with traditional materials and techniques to restore or replicate original decorative features and required prolonged archaeological work upon the discovery of a Roman well beneath the building. The company had a key role in the direction of the research connected to the project. 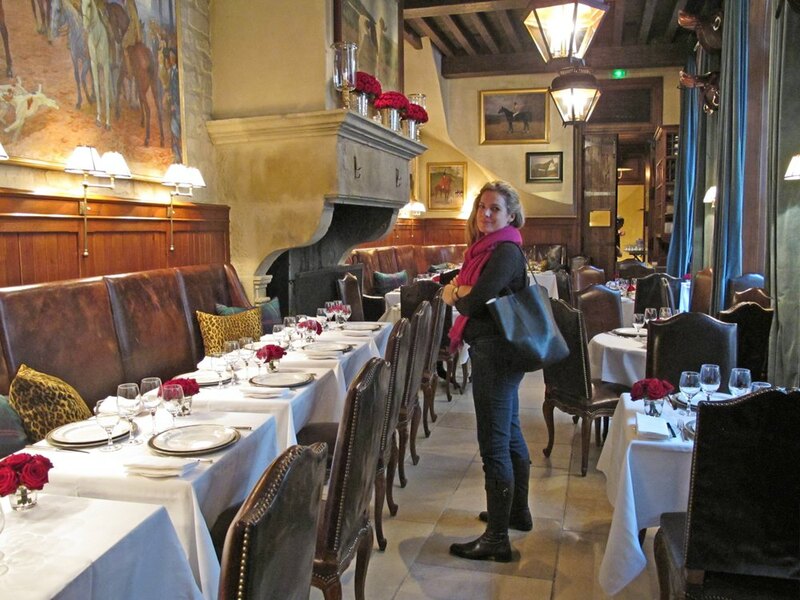 Ralph’s restaurant located in the former stables and carriage houses of the restored 17th century hôtel particulier that houses the company’s flagship store in Paris. Kellogg College is particularly well placed to facilitate knowledge exchange projects with its vibrant mix of full-time postgraduate students, along with mature and part-time students possessing a wealth of current and past career experience and networks – many of which are in the design, heritage and cultural sectors. Kellogg’s links to the Department for Continuing Education and its architecture, decorative arts and design-related programmes are also an asset. It is hoped that the design week will not only highlight arts and culture at Kellogg, but also spark further collaborations both within and outside of the University.